Amazon has a new sale price on the Rockwell RK9002 JawHorse Sheetmaster. 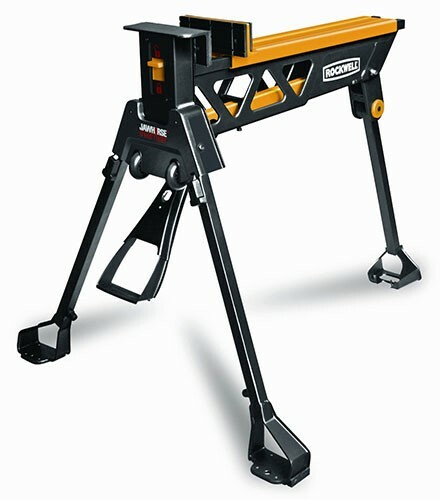 The Sheetmaster model is an upgraded version of the classic JawHorse that offers a larger clamping capacity of 49-inches, which allows it to clamp plywood and other sheet goods. The Rockwell Sheetmaster is typically priced at around $200, but the current Amazon price saves you about $25. I don't know if this new low price will be permanent, but as of now other stores are still pricing the Sheetmaster in the $200 range. If you spot a hot deal that you think other Tool-Rank users might find helpful, send us an email and tell us about it.